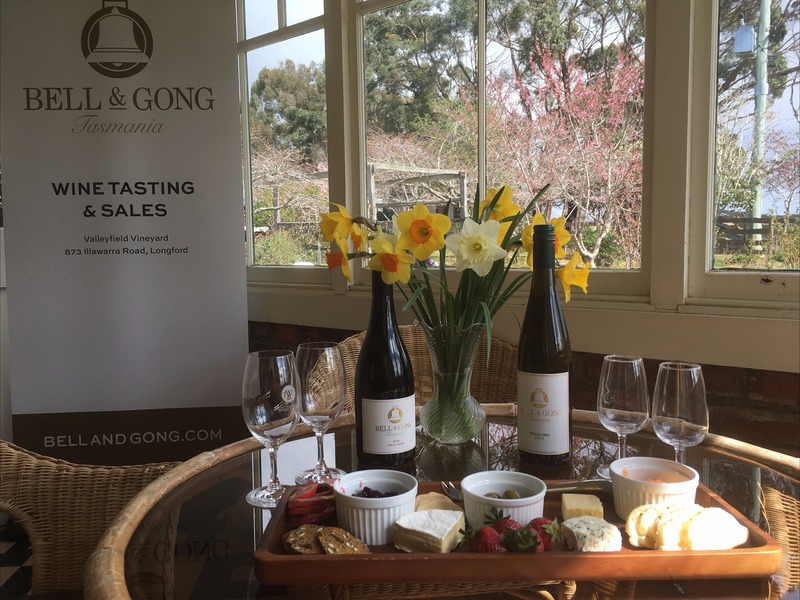 Bell & Gong is a premium Tasmanian wine Cellar Door and boutique vineyard at the historic property of “Valleyfield”, near Longford, Tasmania. Our vineyard is family owned and operated and we welcome guests for an intimate wine tasting experience with complimentary tasting plates and as much discussion of wine as you have time for! Chances are you will also be welcomed by the Bell & Gong Puppies – our family of 5 chihuahuas, who will be very excited to see you! You can also find them on Instagram: “bellandgongpuppies”. We also have facilities for you to bring a picnic or BBQ in our beautiful rose garden and vineyard. Our vineyard produces exceptional quality fruit for Pinot Noir and we source similar quality local fruit for our Riesling, Pinot Gris and Sauvignon Blanc – with plans for our vineyard to expand and produce our own fruit for these varieties. The vintages are limited to small premium quantities of individually numbered bottles. These varieties are available for purchase at the cellar door or online at our website.